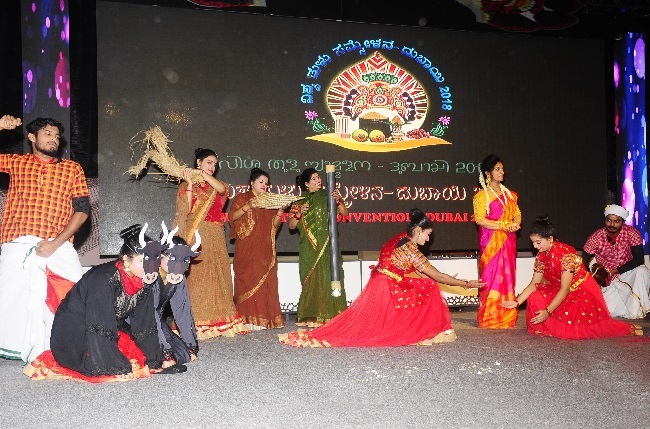 Dubai, 24 Nov: ‘The agrarian society in erstwhile Tulunadu followed traditions and customs that was their way of life. 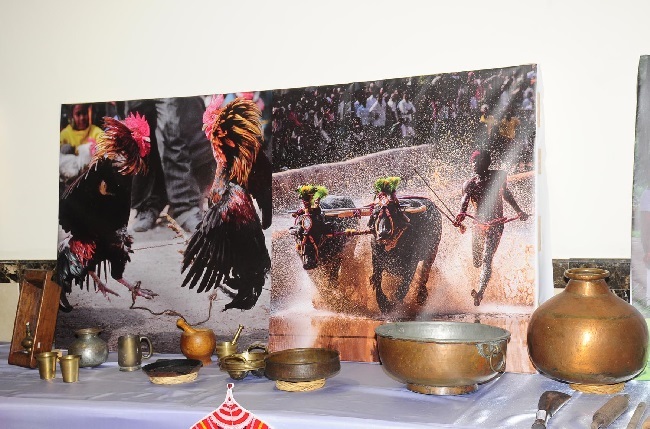 Meanwhile, one has to visit a gulf country to witness the splendor of Tulunadu. 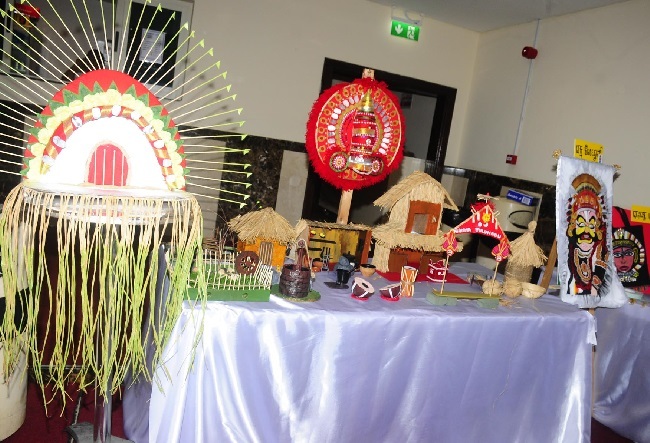 Dubai is land of gold ruled by royals, while the native Tuluvas made their abode by their sheer hard work and perseverance. 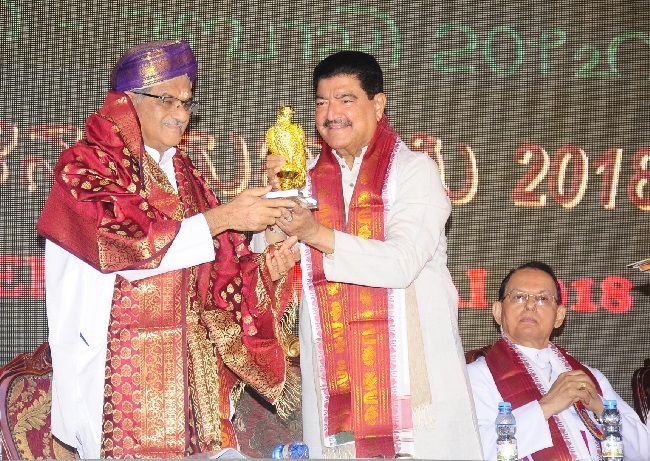 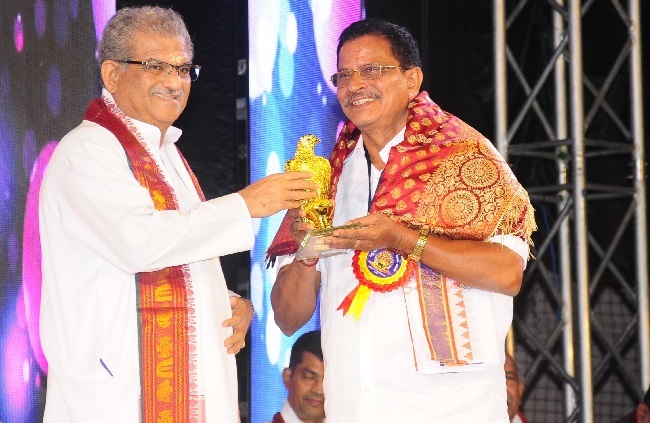 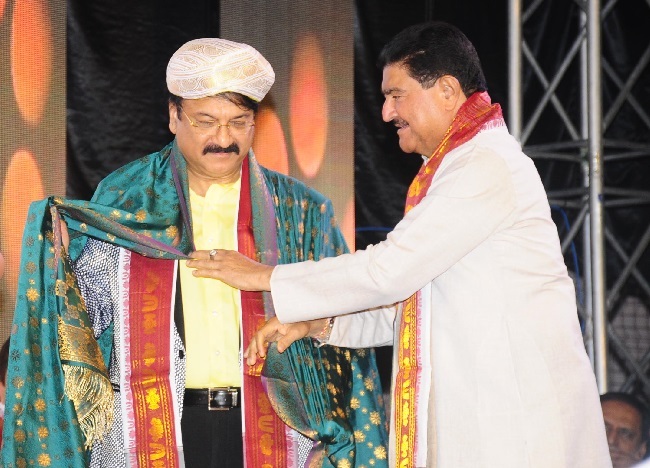 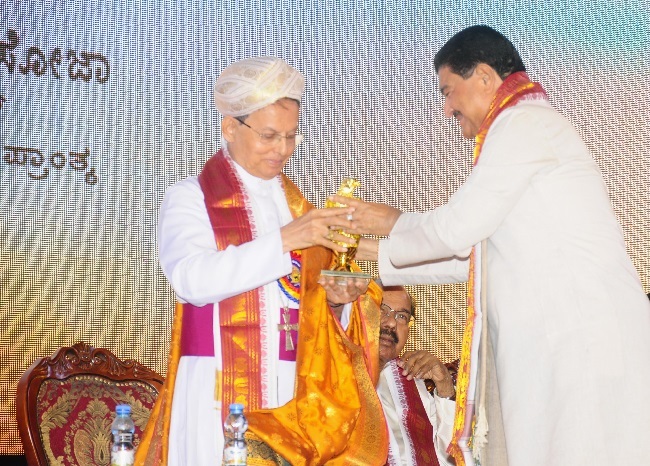 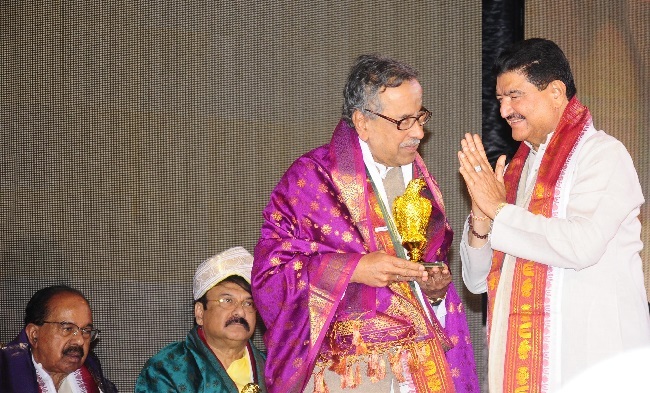 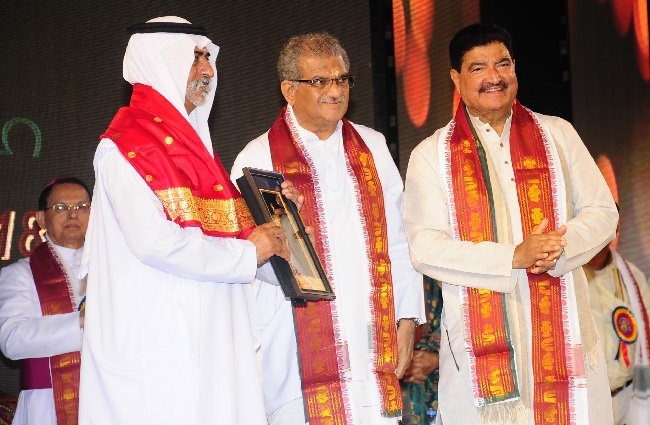 The contemporary Tulu culture is personified in UAE, the land of opportunities,’ said Dr D Veerendra Heggade, Indian cultural ambassador and Dharmadhikari of Sri Kshetra Dharmasthala. 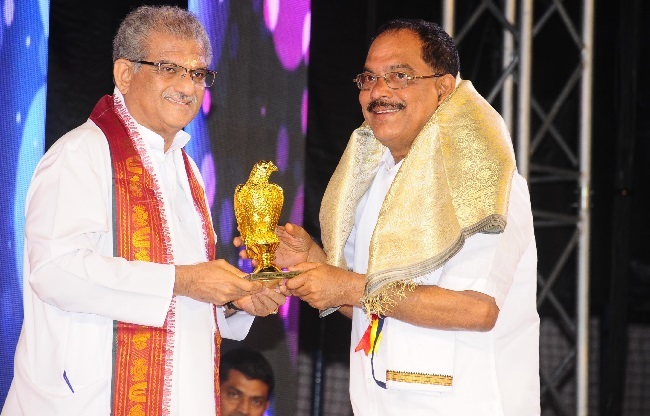 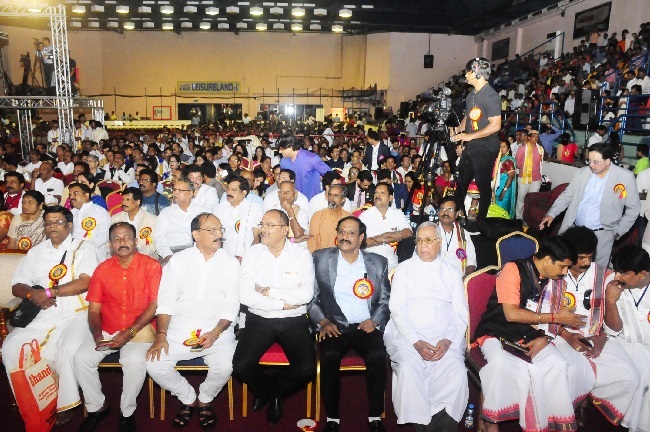 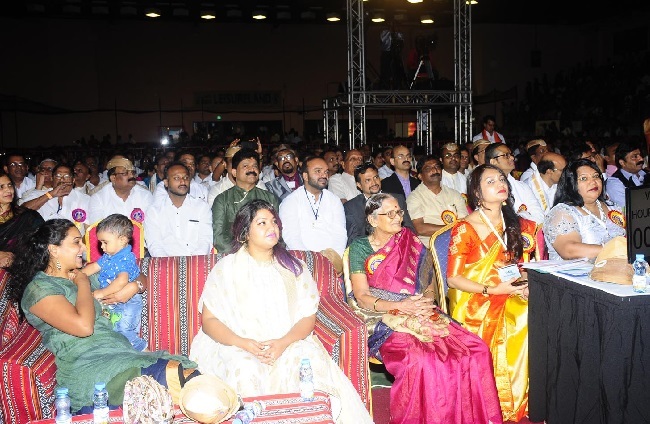 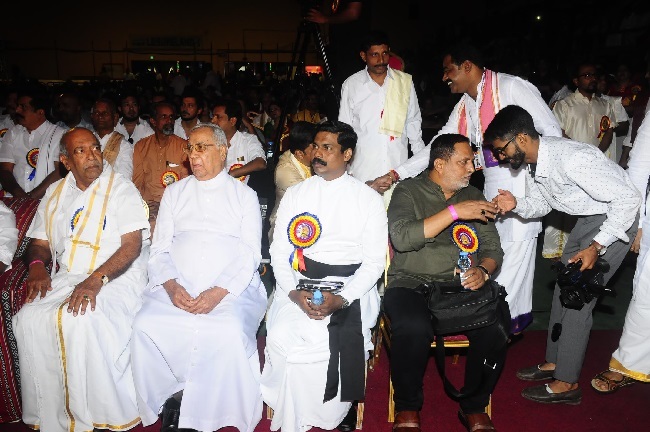 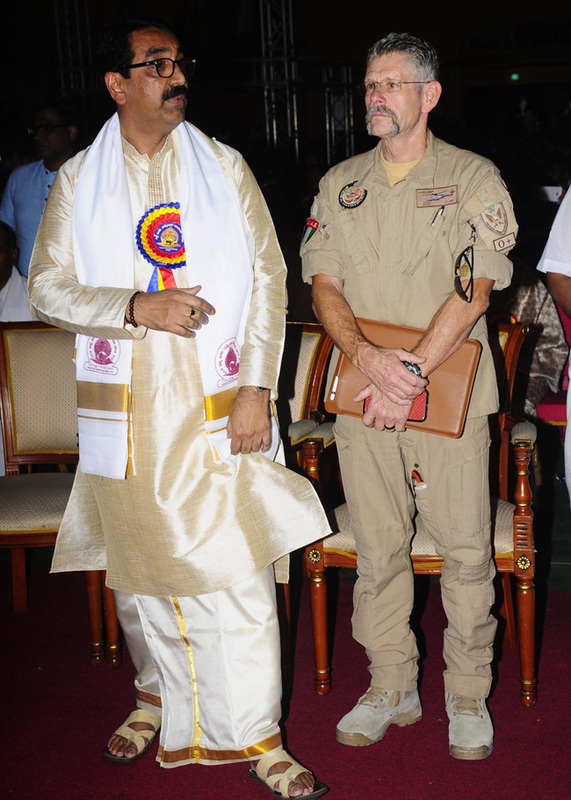 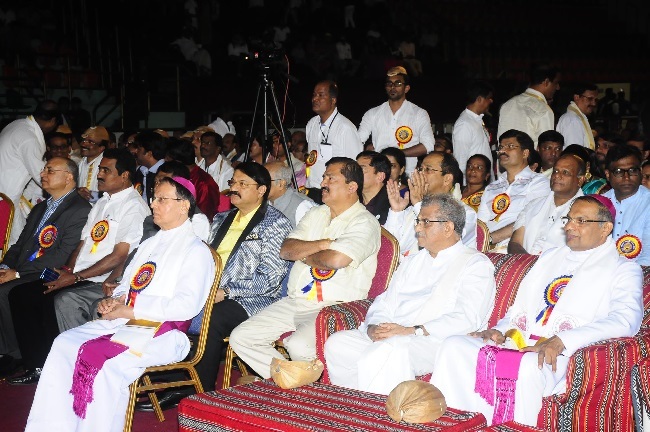 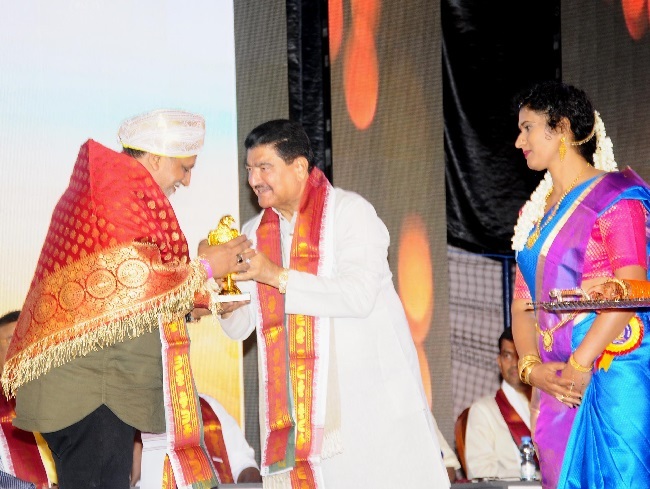 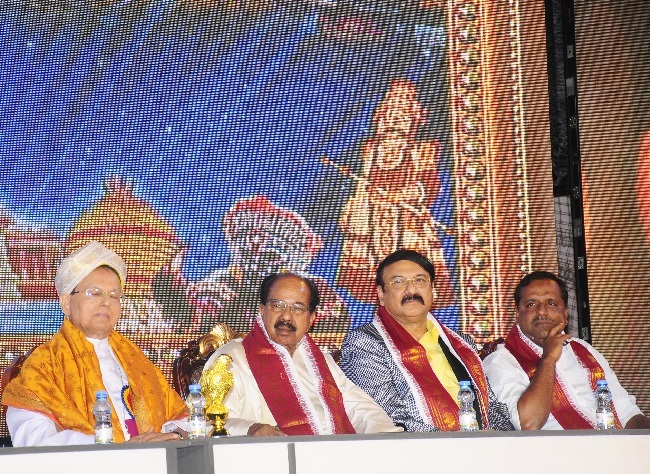 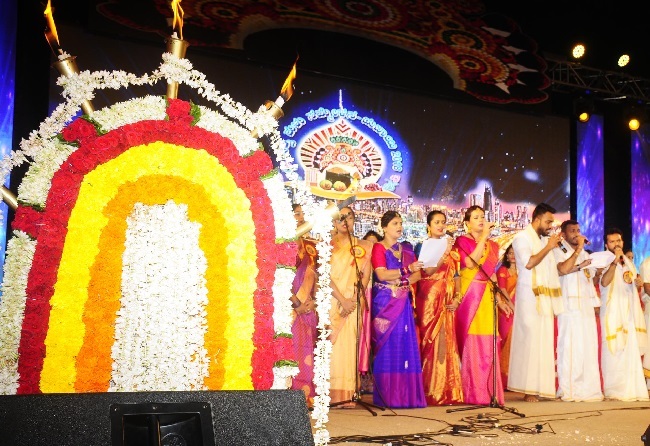 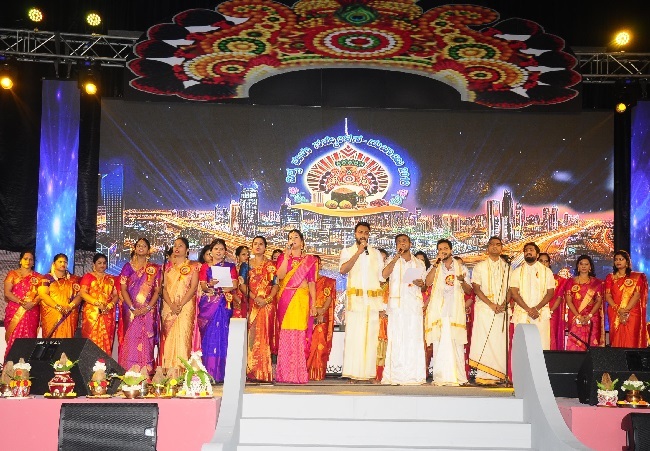 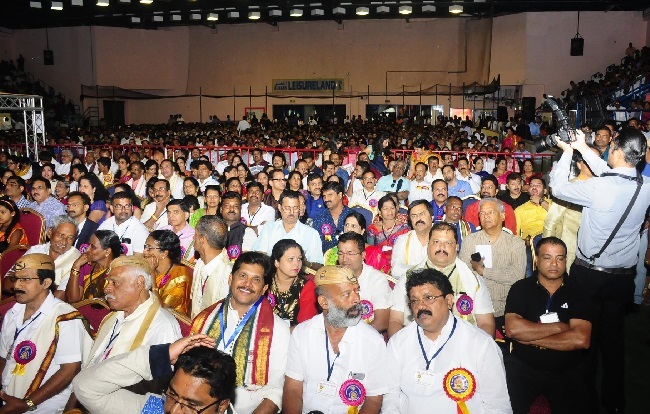 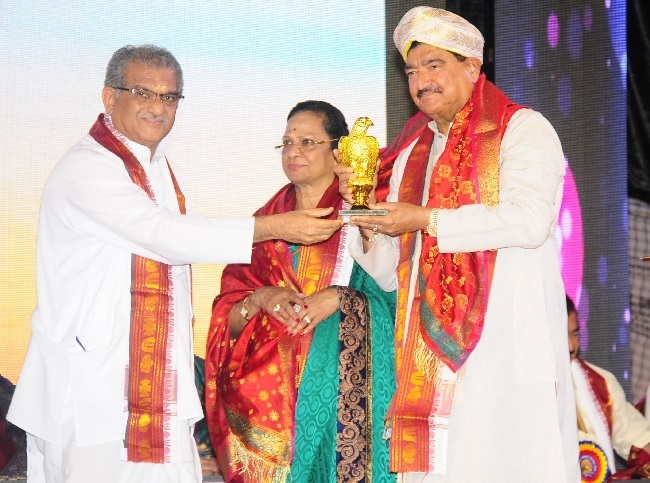 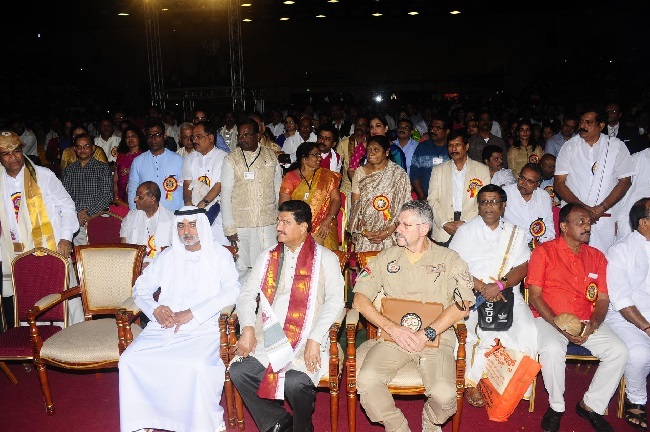 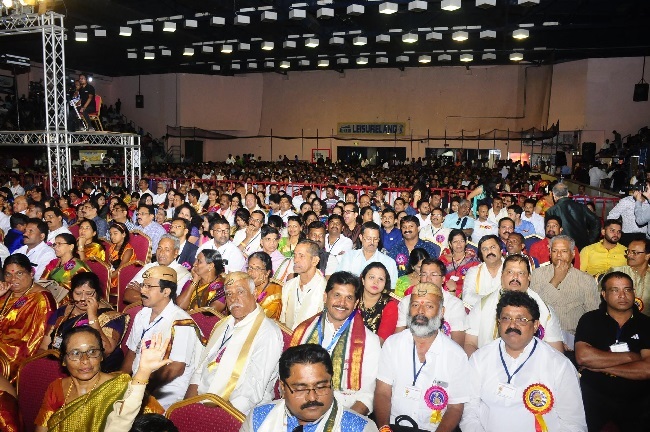 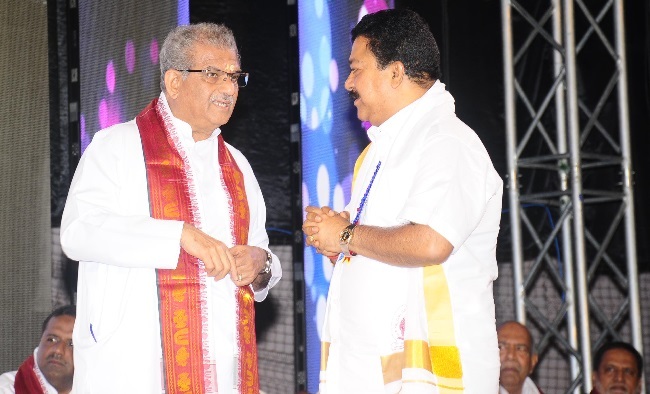 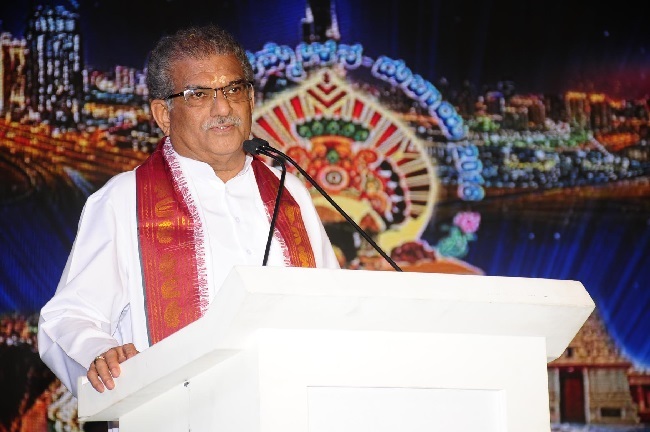 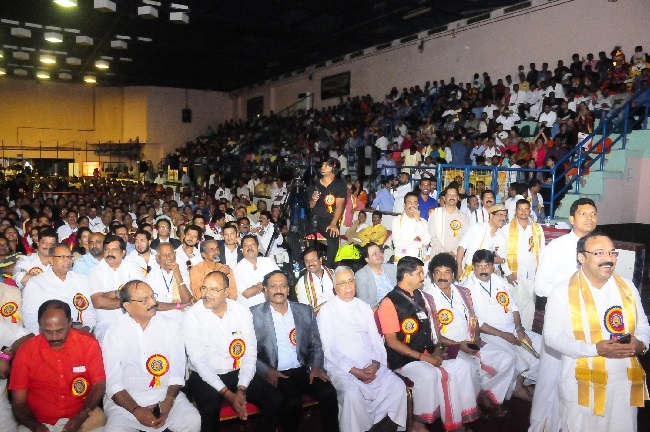 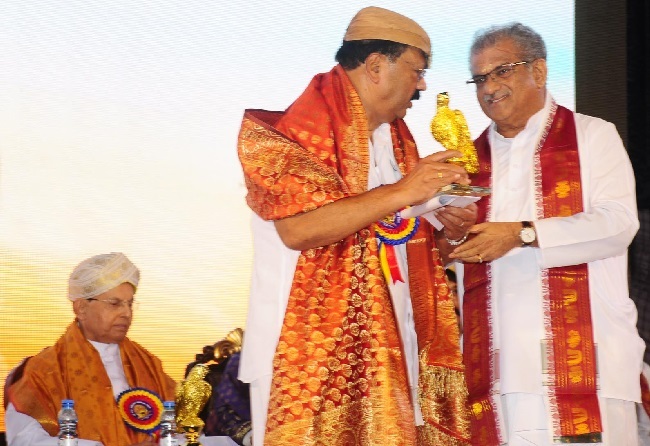 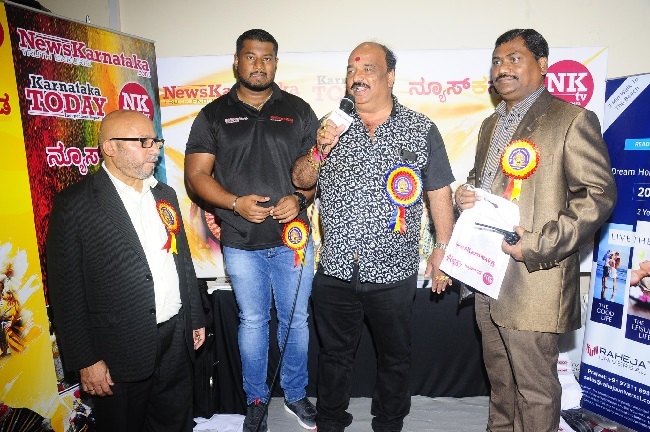 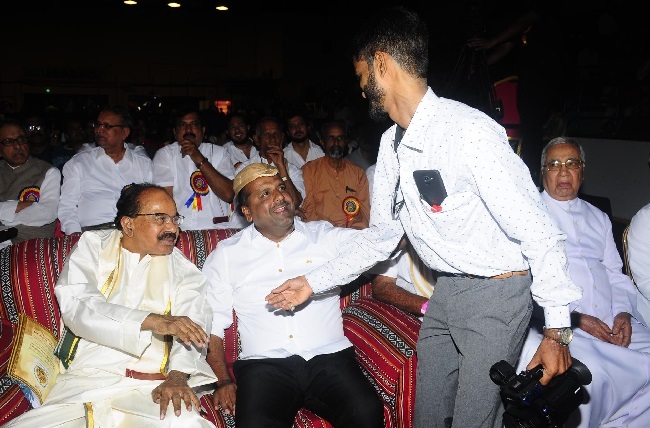 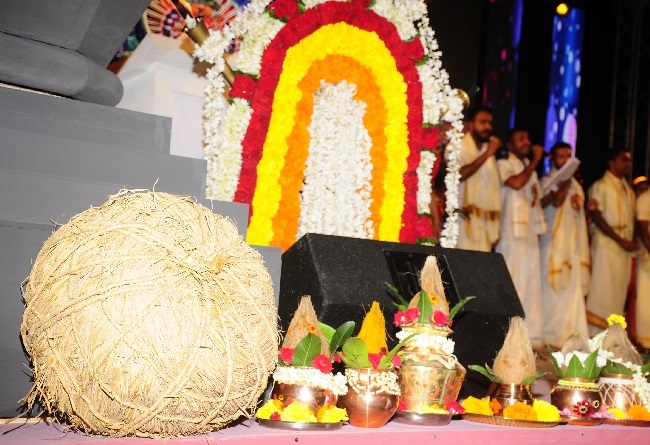 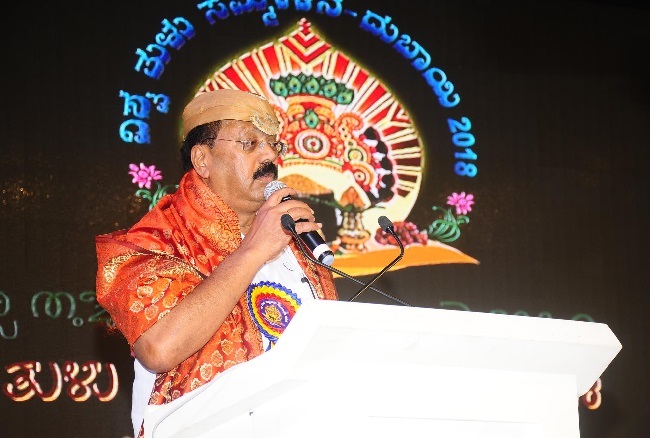 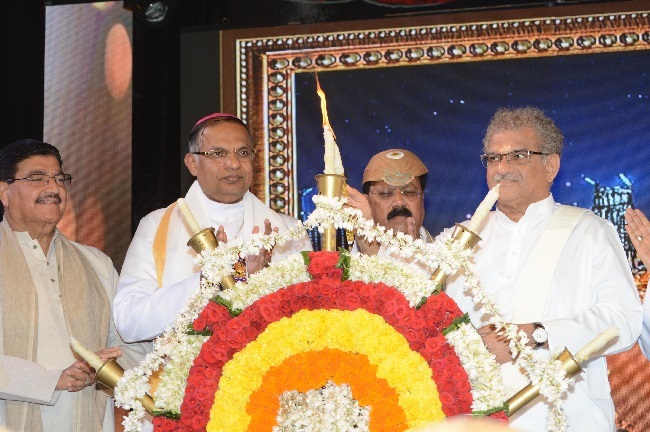 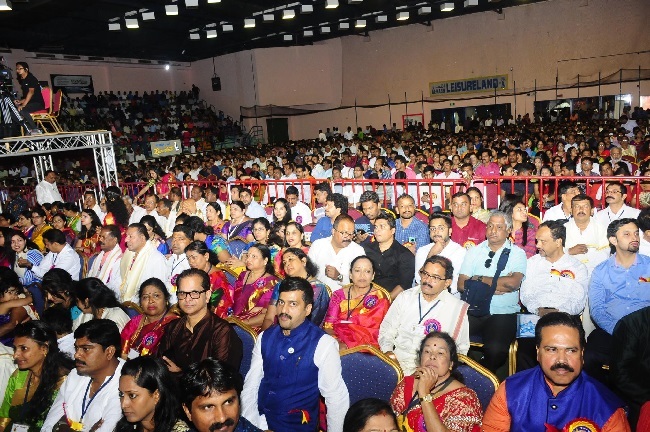 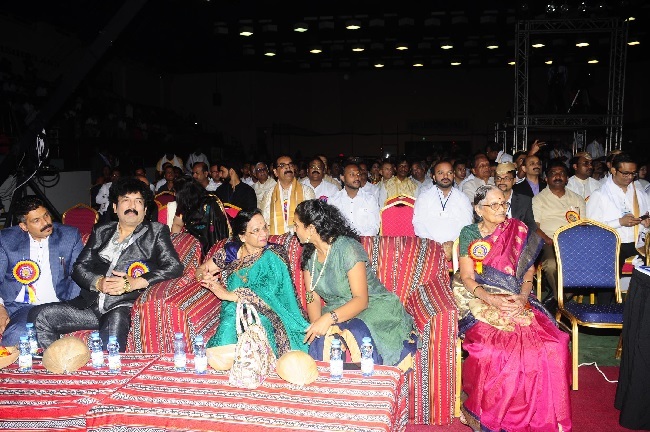 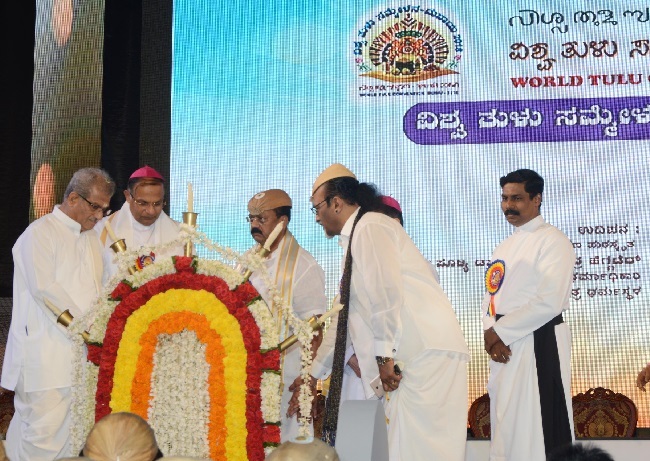 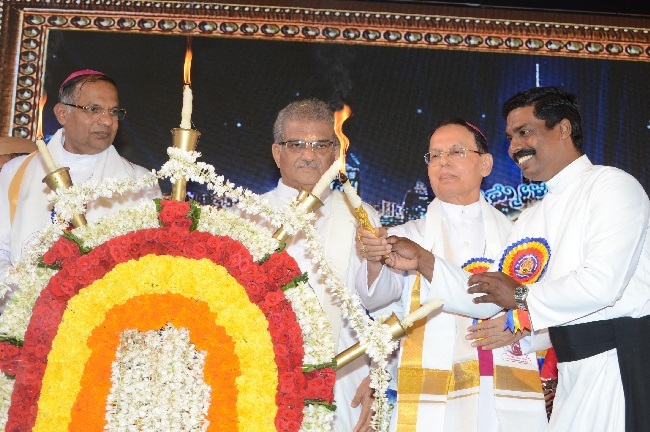 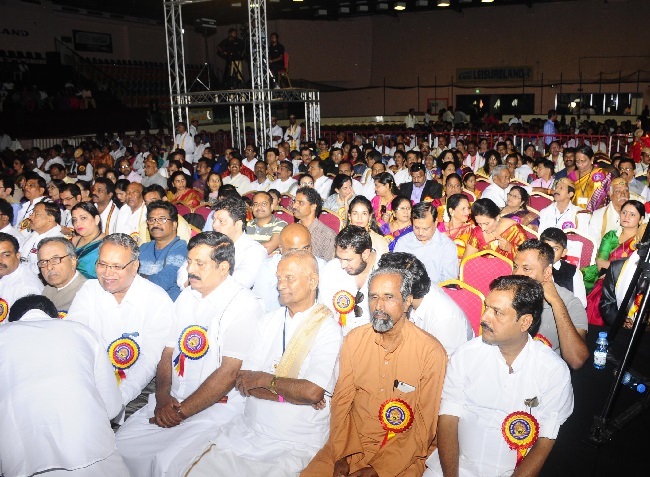 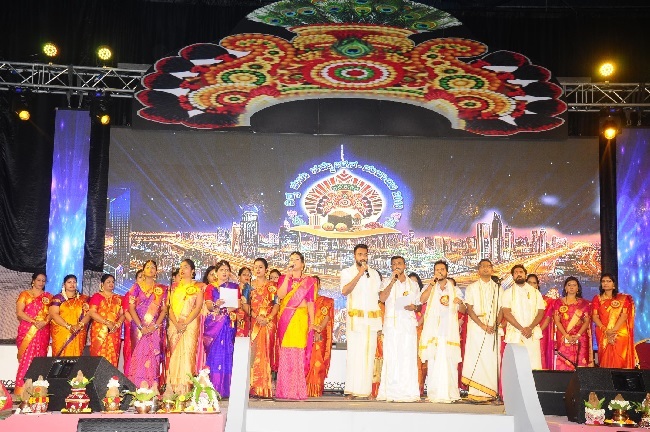 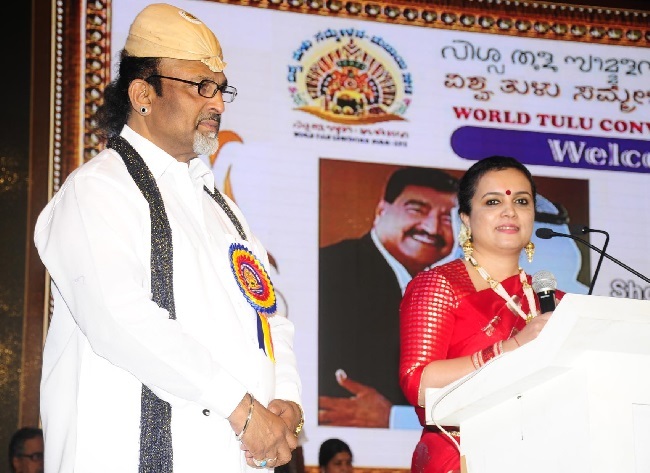 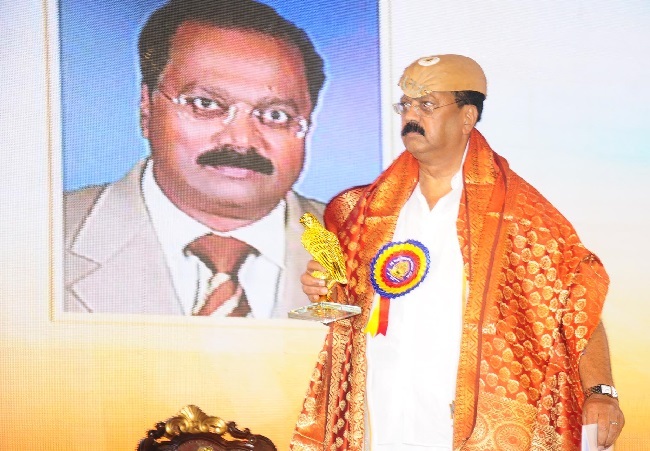 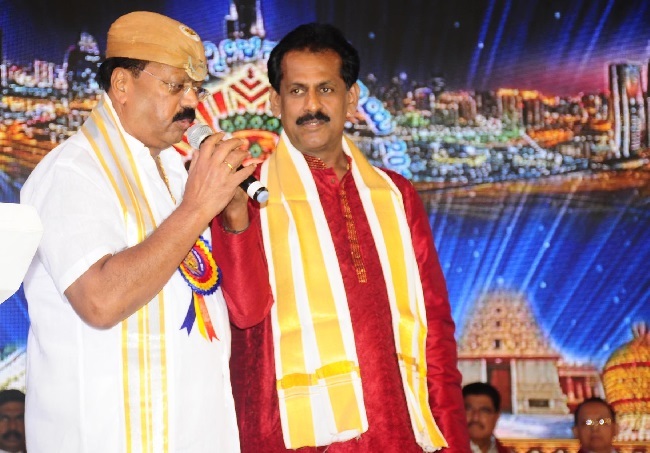 Dr Heggade was speaking after inaugurating Vishwa Tulu Sammelan that was jointly organized by Overseas Tuluvas, Karnataka Tulu Sahitya Academy and Akhila Bharata Tulu Okkoota at Al Nasr Leisureland Ice Skating Rink indoor stadium, Dubai from Friday, November 23 to Saturday, November 24. 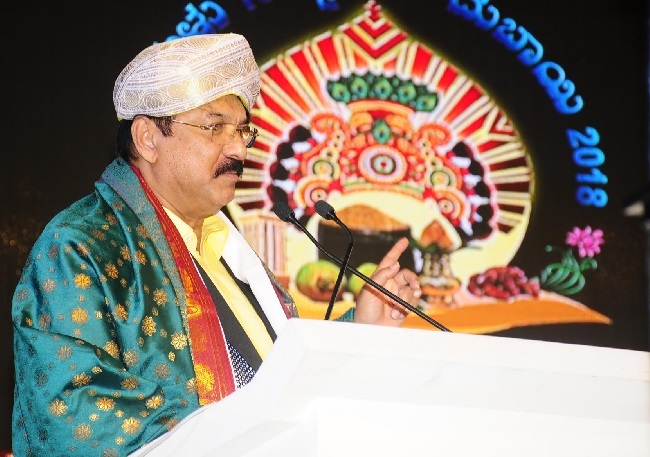 He further said, ‘The unveiling of Tulu Sammelan in Dubai makes one to be fortunate to live in Tulunadu,’ said Dr Heggade. 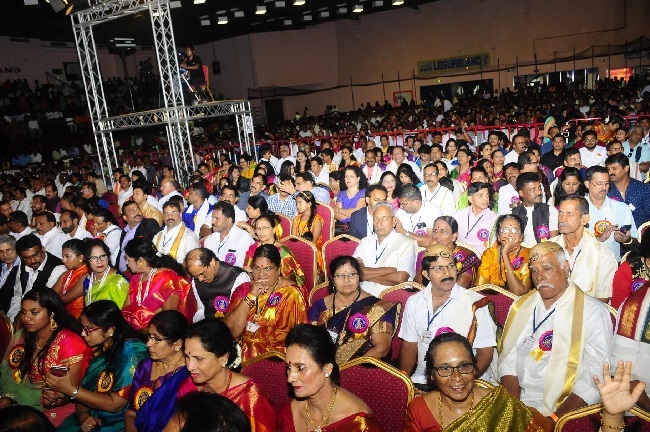 He conveyed best wishes to Tuluvas to become more industrious. 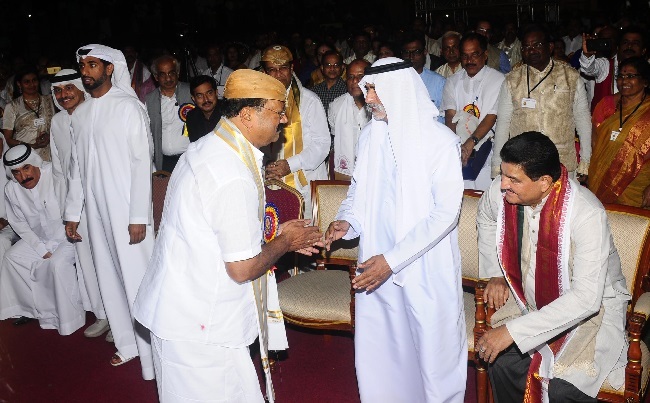 Sheikh Mubarak Al Nahyan, UAE tolerance minister was the chief guest. 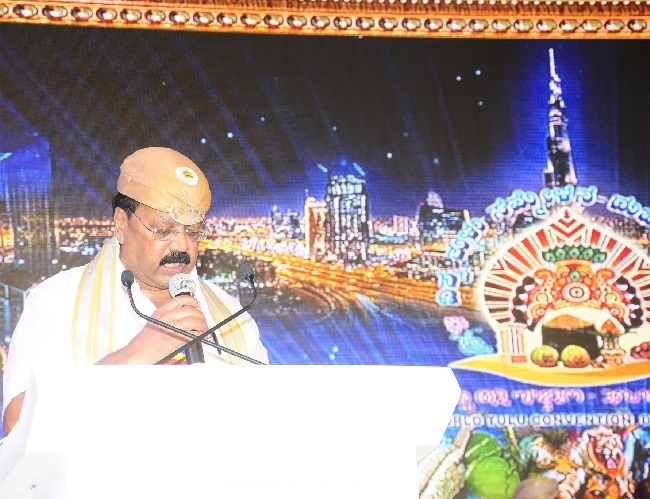 Speaking on the occasion, minister Sheikh Mubarak said, ‘Tuluvas are known for perseverance and friendly virtues. 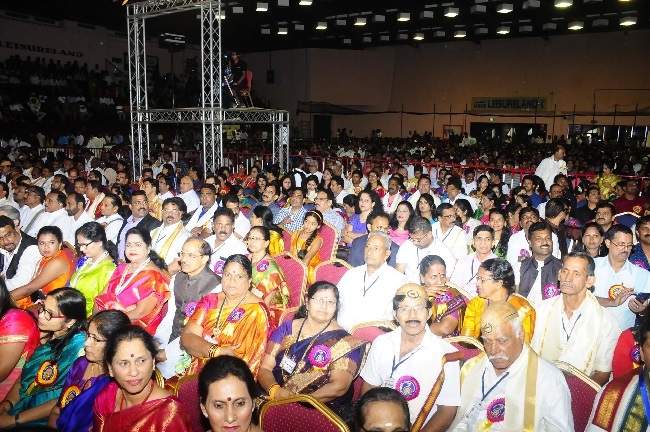 They are born to lead either in business or any sphere, by their noble virtues. 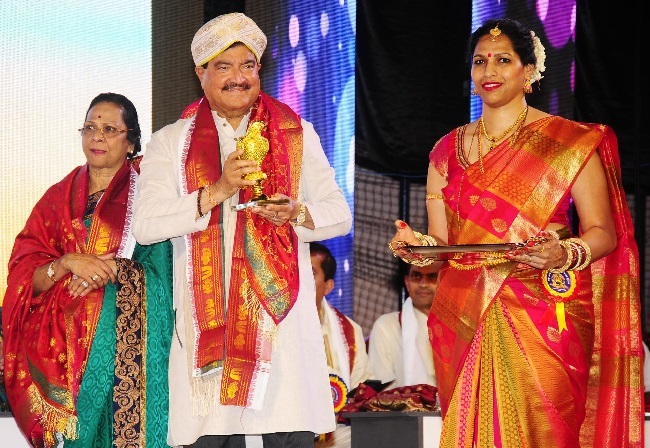 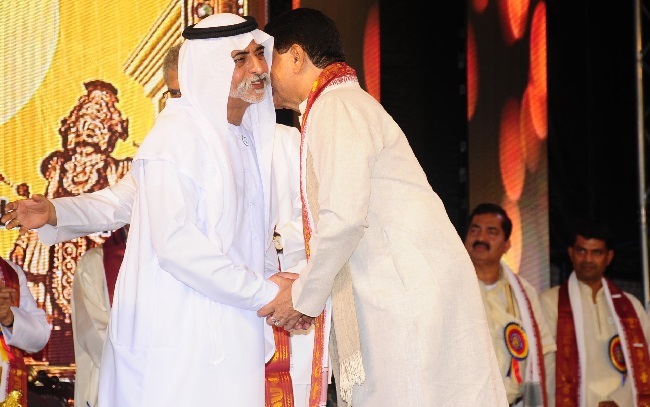 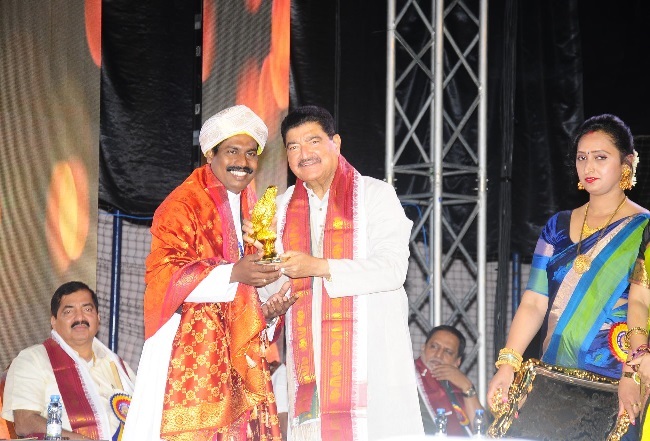 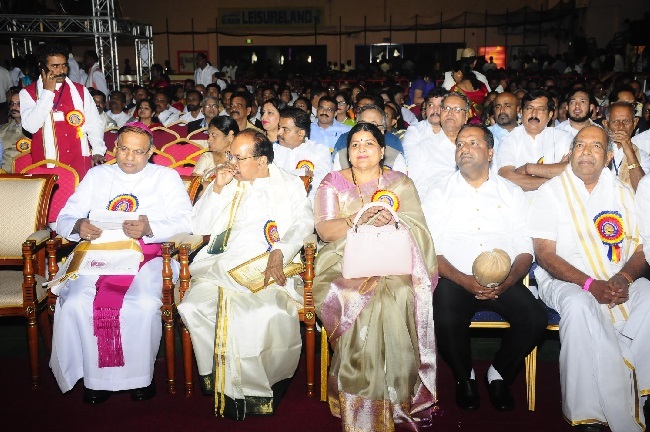 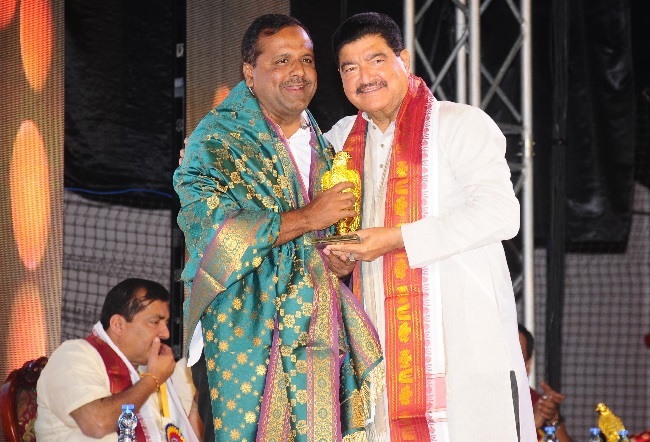 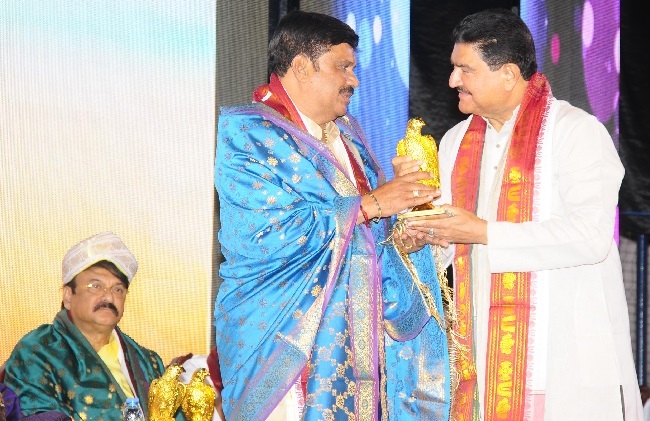 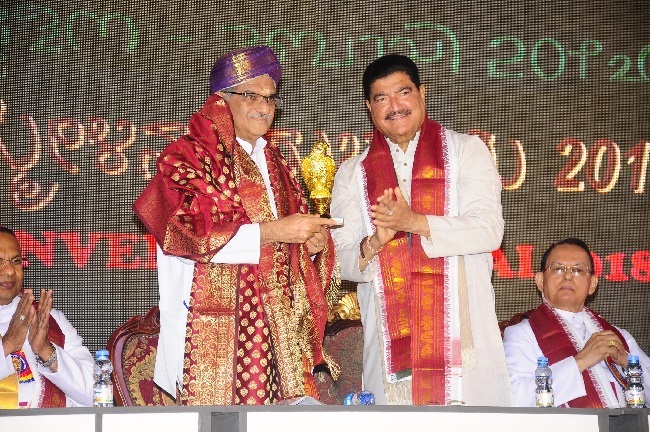 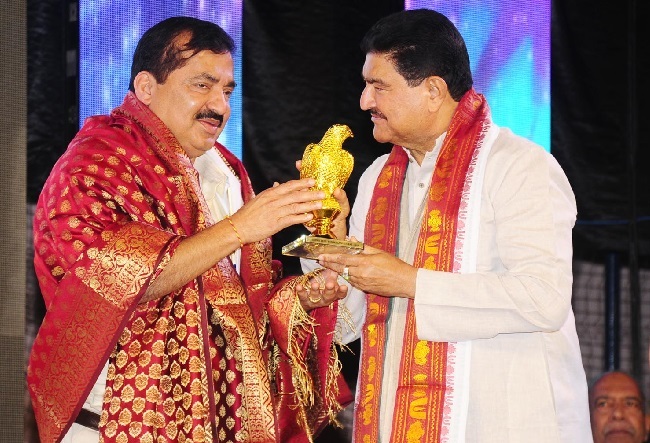 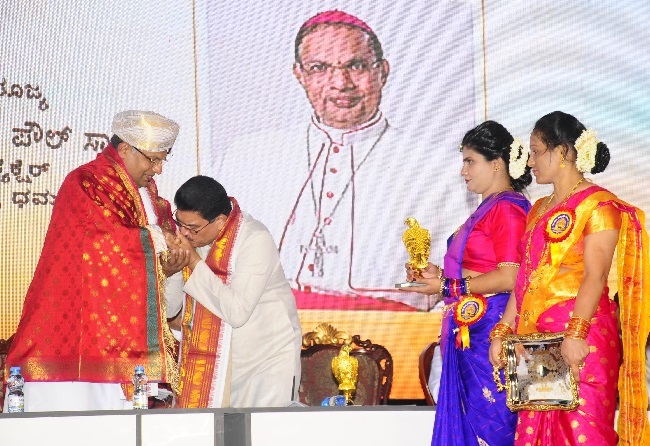 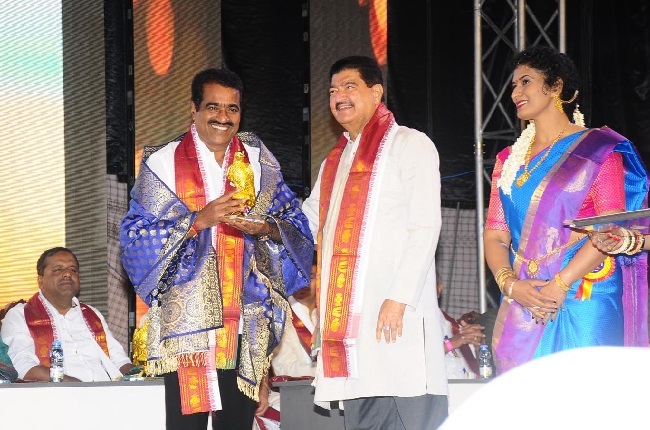 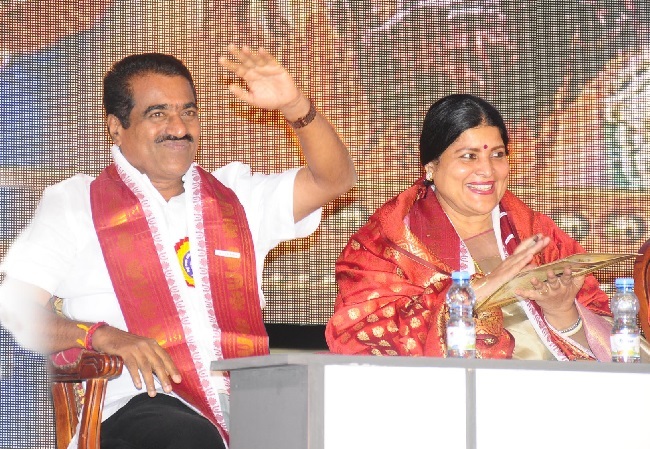 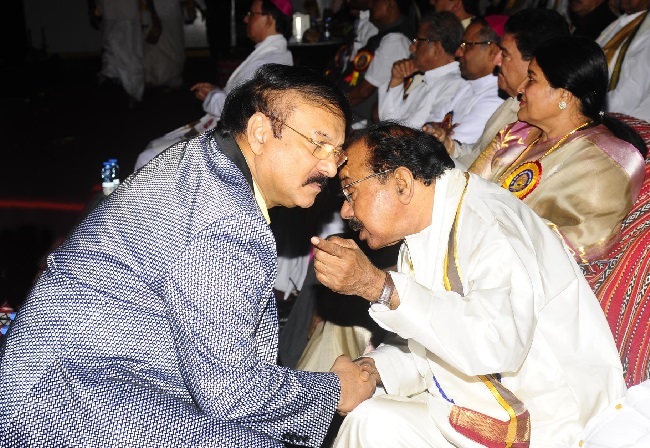 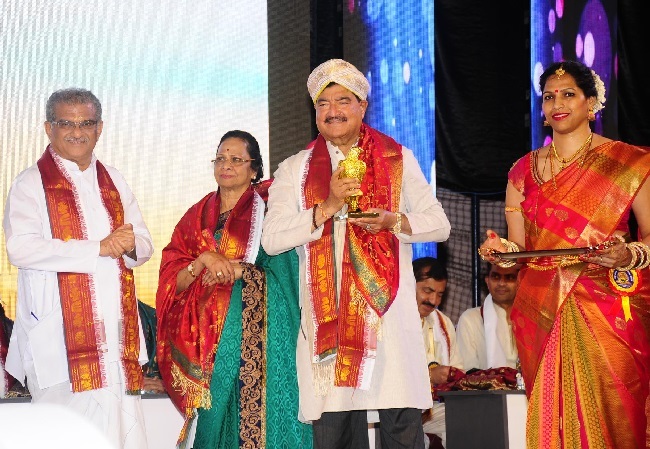 The better relations with UAE and India set the stage for Vishwa Tulu Sammelan in Dubai,’ said Sheikh Mubarak. 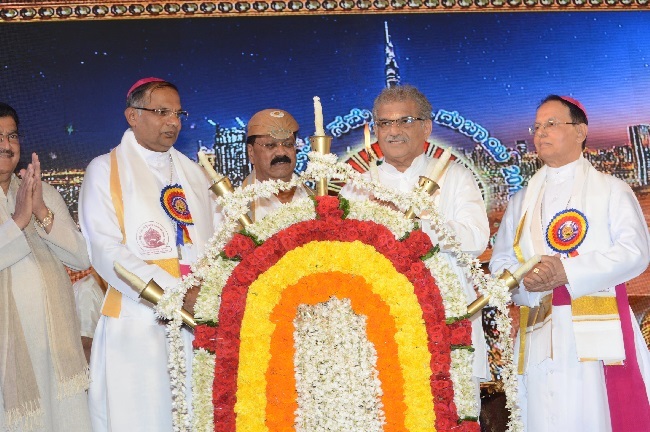 Bishop Dr Peter Paul Saldanha of Mangaluru diocese, CSI Bishop Ebenezer Jatthanna of Mangaluru diocese, Bishop Dr Henry D’Souza of Bellary diocese, Islam scholar Abdul Salam Puttige, Karnataka urban and DK district-in-charge minister U T Khader, Karnataka Kannada and culture/Udupi district-in-charge minister Dr Jayamala were the chief guests of the occasion. 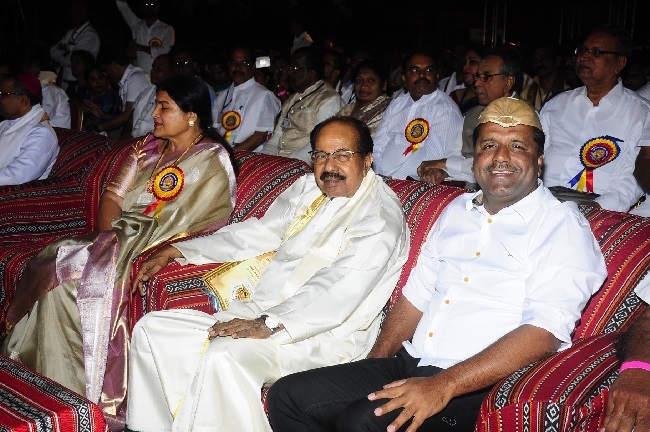 Karnataka former CM M Veerappa Moily, Moodbidri – Alvas Education Foundation chairman Dr M Mohan Alva, Moodbidri MLA Umanat Kotian, NRI entrepreneurs Ronald Colaco and Sujata Shetty, Basava Samiti president Basava Jatti, Chandrakala B R Shetty, Sandalwood music director Gurukiran, Karnataka Tulu Sahitya Academy president A C Bhandary, Akhila Bharata Tulu Okkoota presid Dharmapal U Devadiga were the guests of honor. 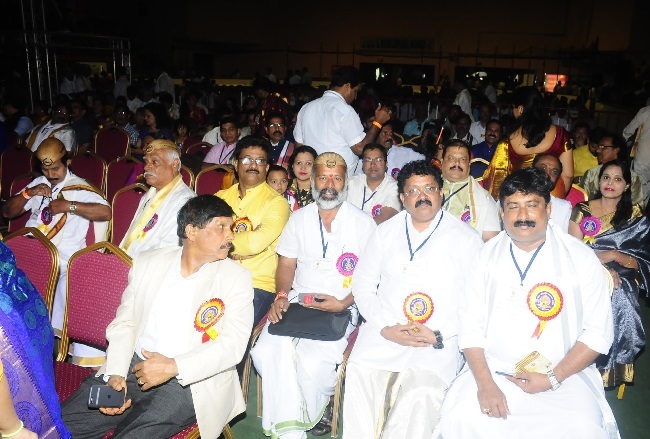 Vishwa Tulu Sammelan chief convener Sarvottam Shetty Abu Dhabi, NMC Group founder and chairman Dr B R Shetty were also present. 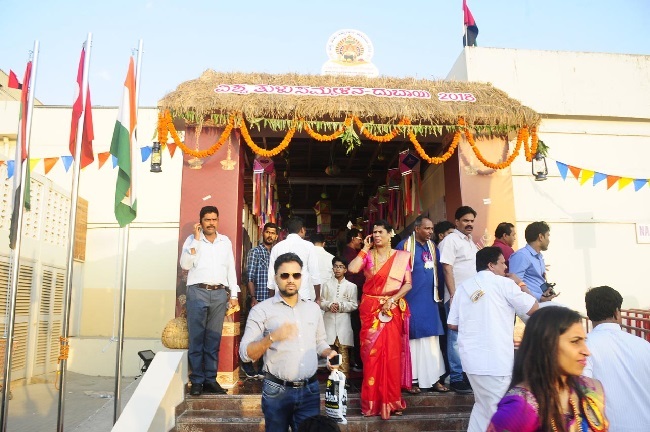 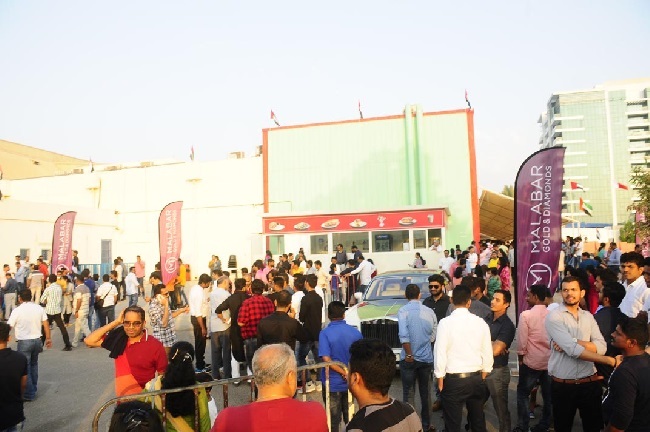 The dignitaries were welcomed after hoisting the flag in front of Nashvan auditorium. 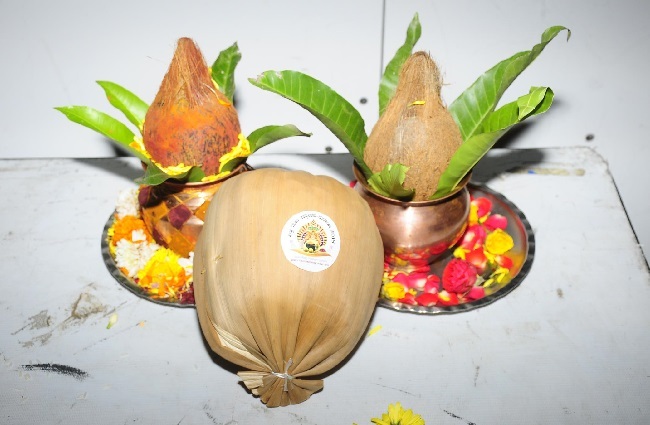 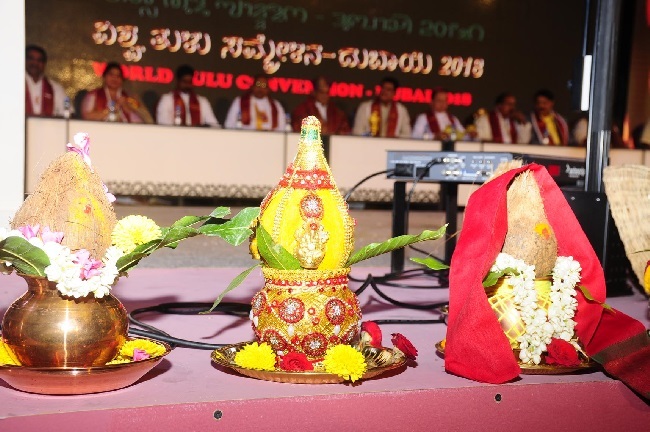 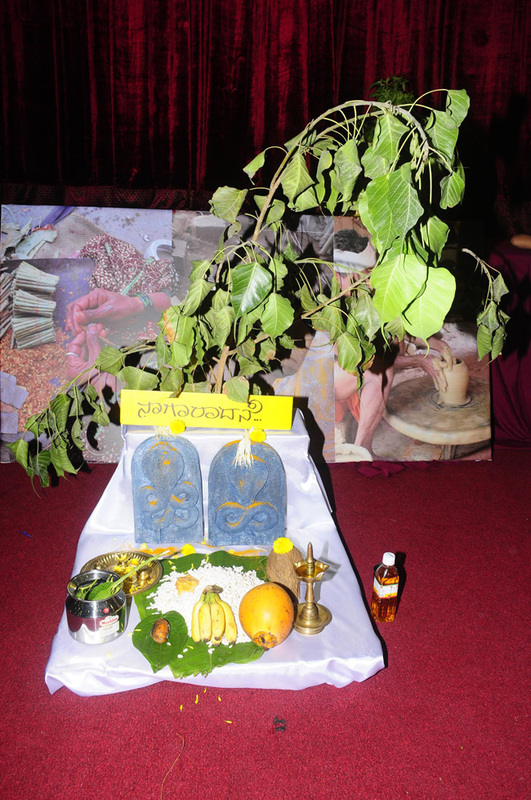 The heroic queen of Tulunadu – Rani Abbakka, Koti Chennaya, Reverend Kittel, Agoli Manjanna and Kayyara Kinhanna Rai were reminisced on the occasion. 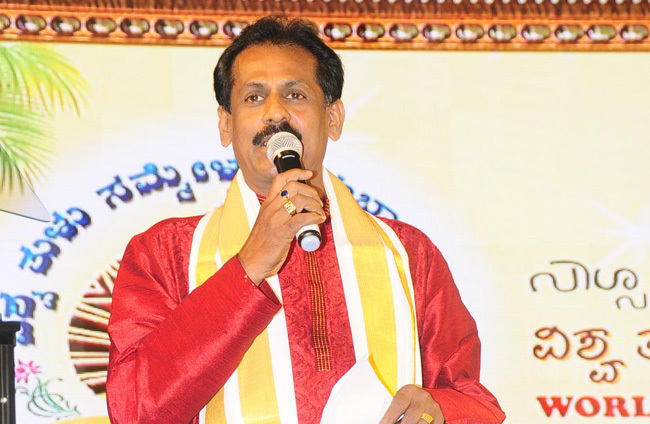 Sarvottam Shetty welcomed the gathering and delivered preliminary address. 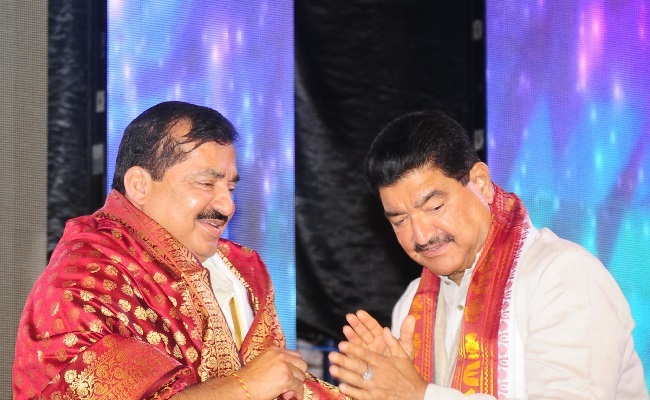 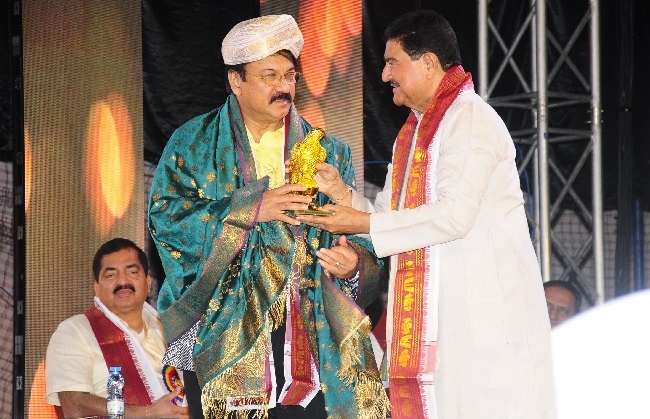 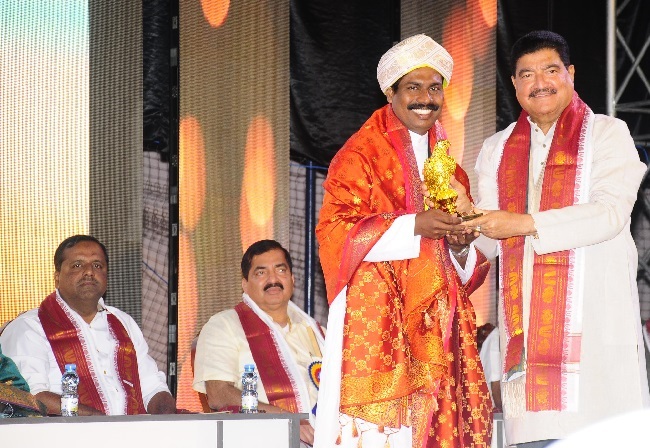 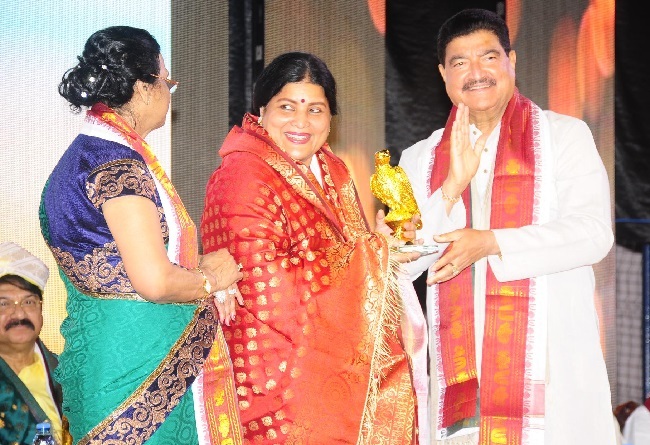 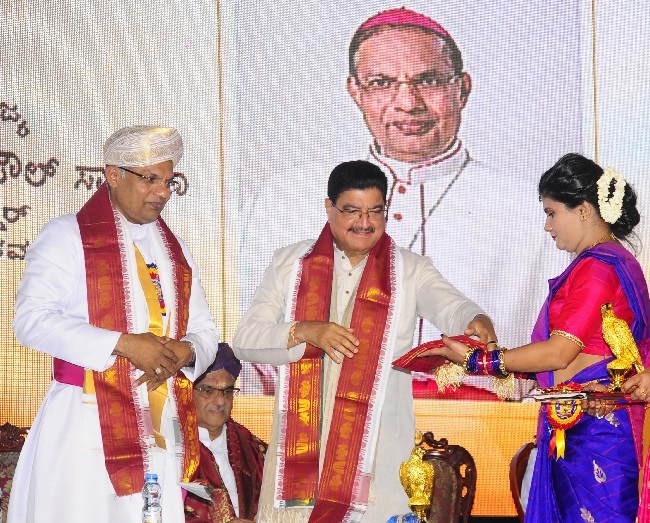 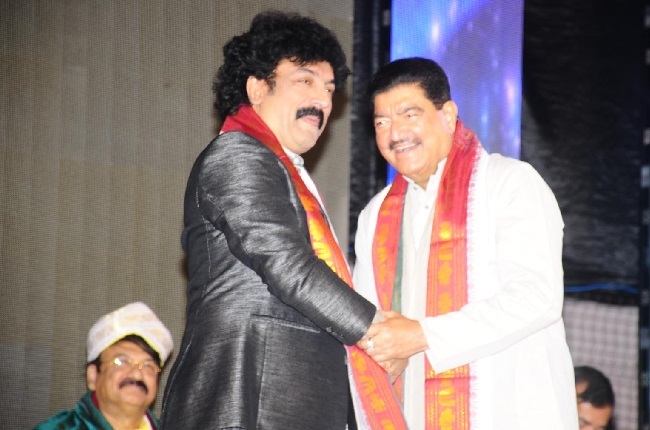 Dr B R Shetty welcomed the dignitaries with roses. 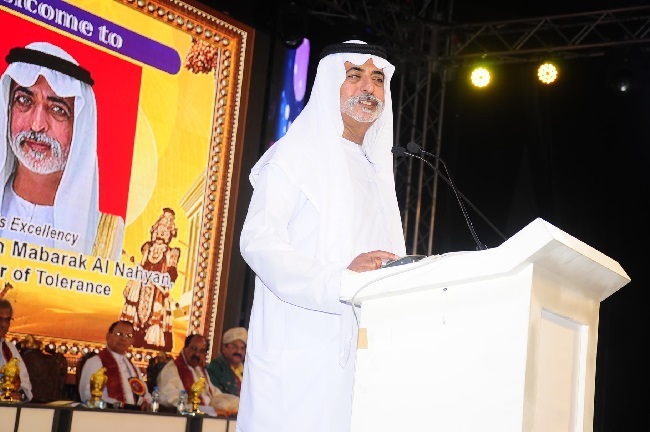 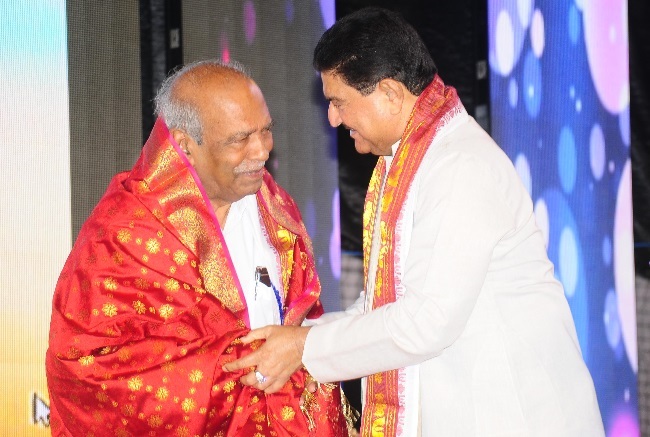 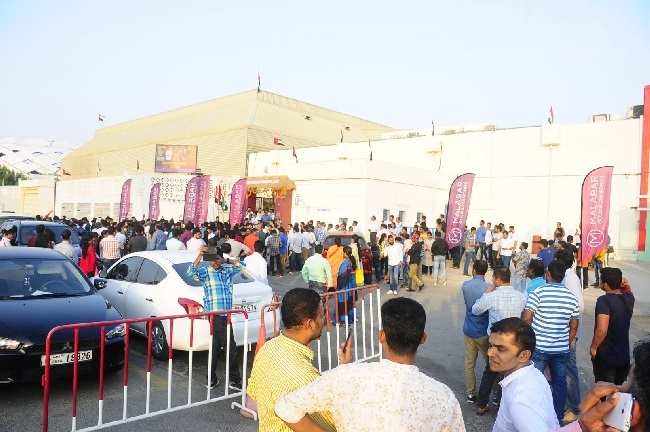 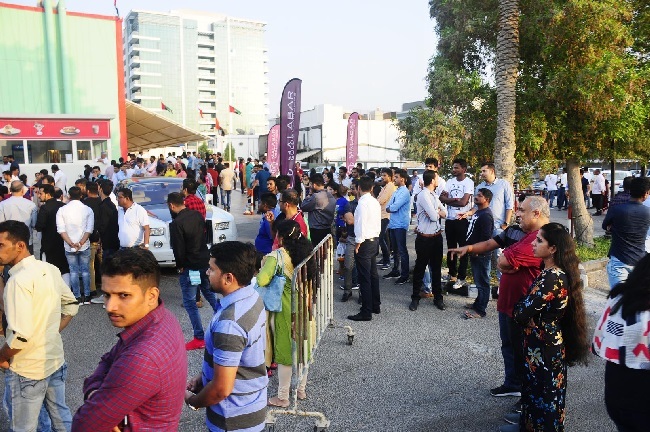 Overseas Tuluvas Okkoota – Dubai president Shodan Prasad proposed vote of thanks. 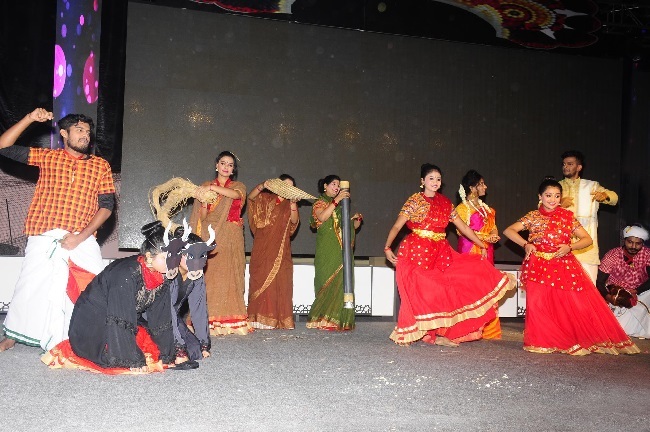 Six groups from GCC countries presented folk dance as part of cultural shows. 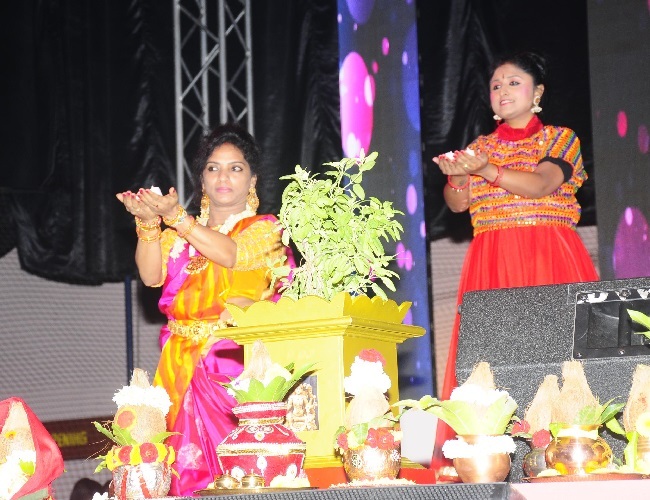 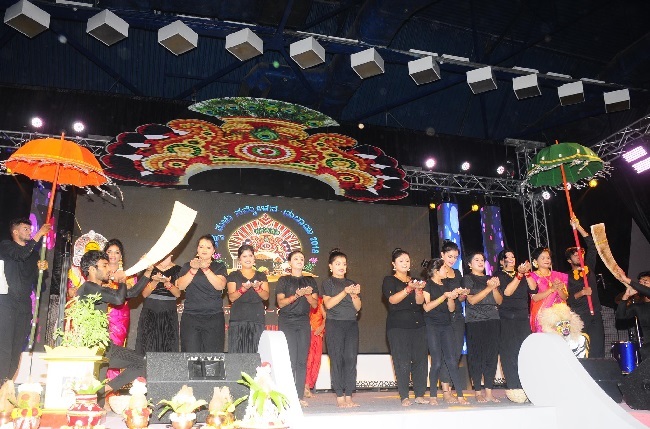 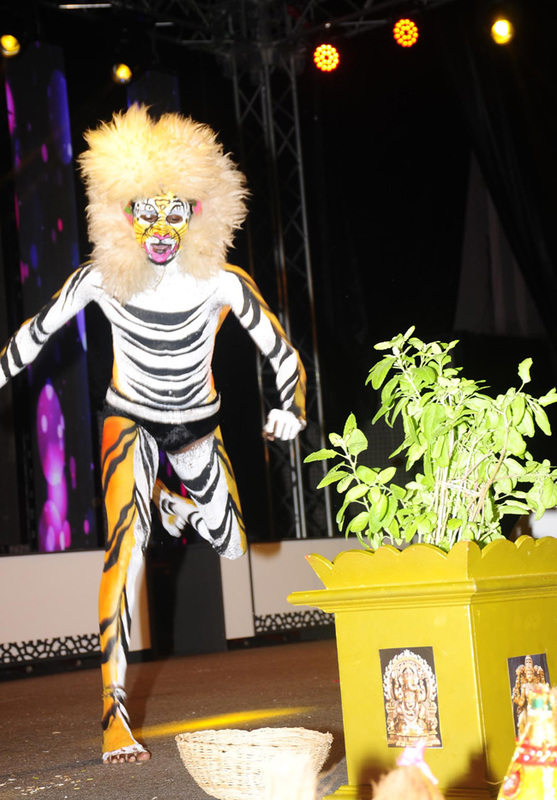 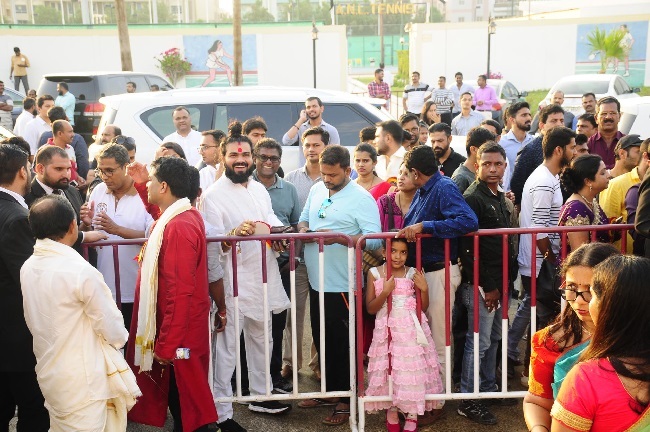 The Yakshagana troupes presented Yakshagana play and Versatile Dubai music group presented musical concert as part of entertainment programme. 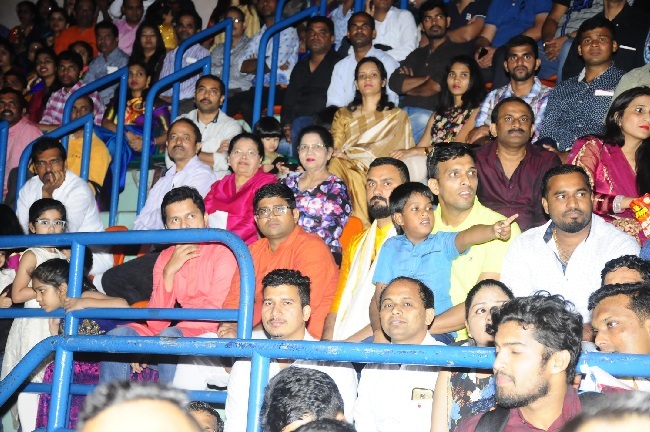 Kadri Navaneet Shetty and Sahil Rai compered the programme. 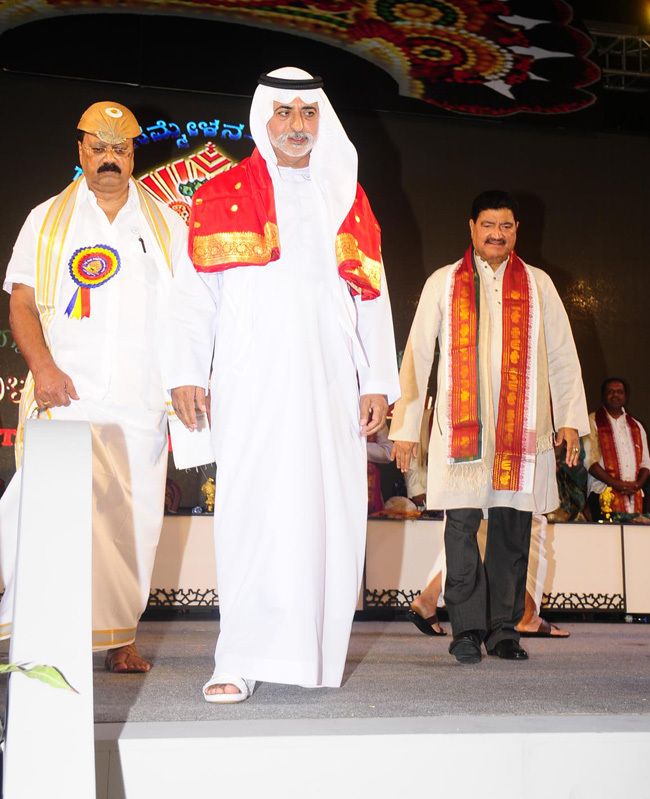 Tulunadu special delicacies were served to all with traditional hospitality in oil rich gulf country. 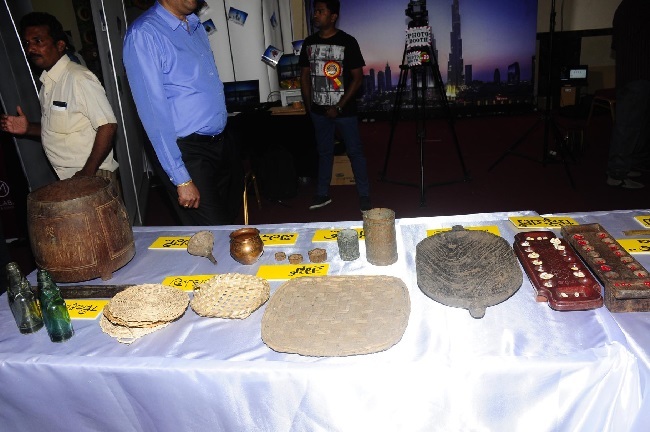 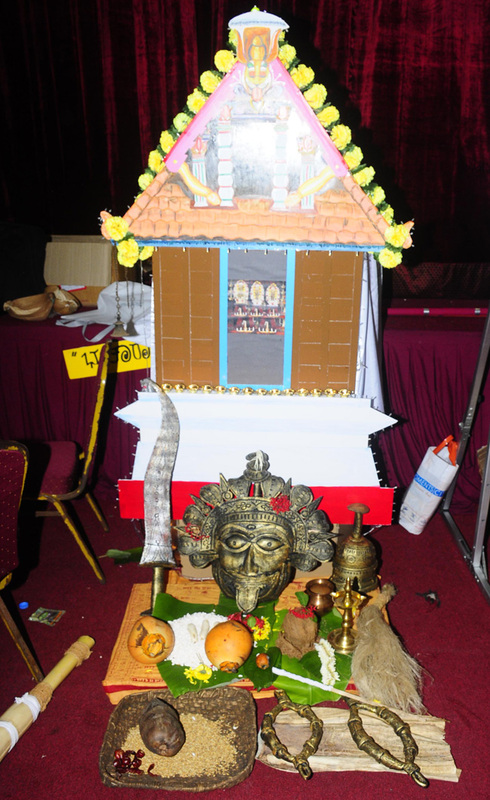 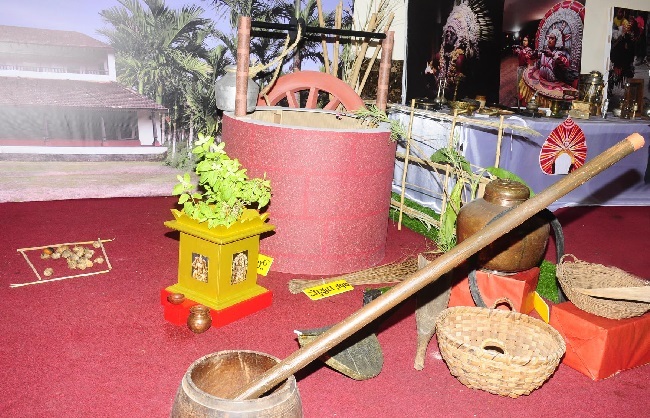 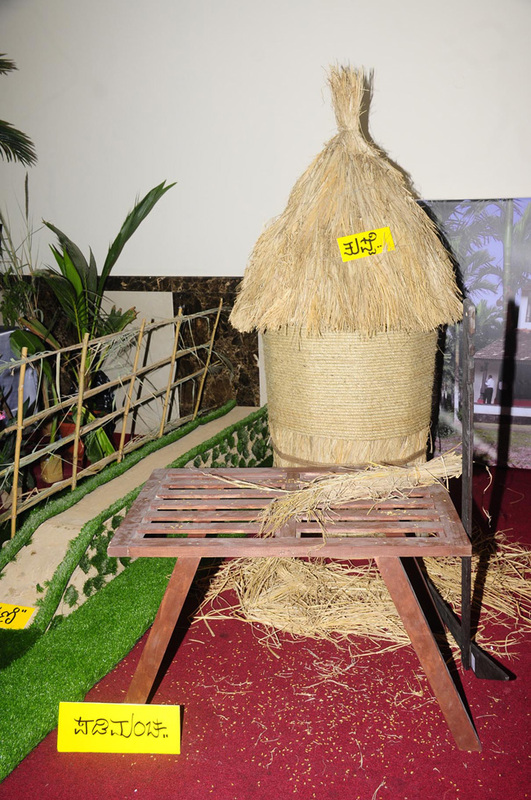 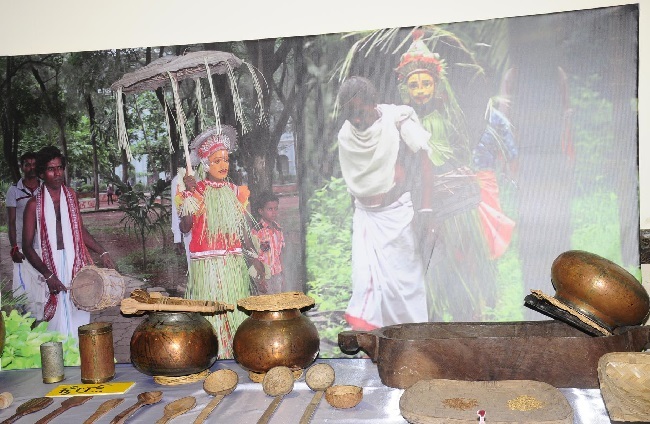 The exhibition on Tulunadu put up by Zubair Khan from Mangaluru was the highlight of the event.